First you need to work with a coach like @hcgdietprogram – it will make all the difference to your results. They also organise the compound pharmacy hCG drops for you. This is because hCG is not normally #prescribed by doctors, and it’s not on the PBS either. So an hCG coach will organise a phone or skype appointment for you with a referred #doctor and your script will go straight to the pharmacy. Two days before your start date the pharmacy will prepare the drops and have them shipped to you overnight in an ice pack. The hCG hormone is actually very fragile and expires very quickly – it needs to be kept cold and in the fridge. Generally a 40 day bottle will only last 43 days from preparation. Once you get your drops, on your start day the measured amount simply goes under the tongue for 10 mins before swallowing, at 12 hourly intervals with nothing to eat or drink for at least an hour afterwards. Phase 1 is two days called Gorge Days – it’s the most fun because you get to clean out your pantry of all those things you’re not going to be allowed to eat. This is also your time to handle any #cravings you might foresee – chocolate, peanut butter, avocado, even a burger! You want to focus on lots of high fat foods and complex carbs whilst still trying to keep things like flours, wheat and refined sugars to a minimum. You can also drink alcohol in this phase. Yay! The aim is to calorie load and you should see a slight weight gain over the coming two days on the scales. This is a critical phase, and those who don’t #gorge properly or put weight on during the gorge days will not be able to do a full round or lose much weight – their body goes into starvation mode early. This is because hCG is designed to mobilise the stored fats in your body. So if you at or use fats, that’s less fat that you’ll burn through and less weight loss. Naturally the choice is ultimately yours, but if you’re wanting great results then you stick to the plan, right? By Day 3 you shouldn’t be hungry, you’ll be well fed from the previous two gorge days. In fact you’ll probably find it hard to actually eat your required 500 to 600 calories a day – trust me! Most people on hCG skip breakfast – there’s no coffee allowed but you can have herbal tea or lemon and ginger in hot water. Pure Stevia is the only sweetener that’s allowed. As I’ve said before I intermittent fast until 1pm, so that’s when I have lunch – 100g of cooked lean protein (chicken breast, prawn meal, lamb fillet, skinless white fish or two cooked eggs) and up to 200g of an allowed vegetable – think spinach, broccoli, Chinese greens, zucchini, asparagus or cauliflower. To these I add ‘seasonings’ like bone broth, onion, celery, ginger root, lemon juice, or spices and herbs to make things more interesting. 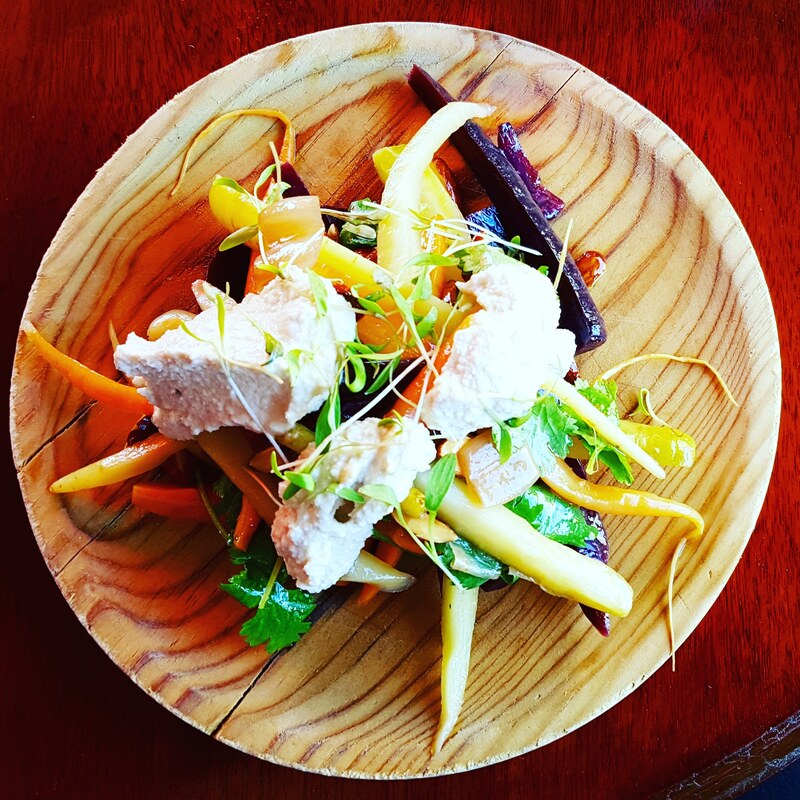 Varying your diet as much as you can and plating it up so it looks appealing is the key. Dinner is pretty much the same scenario which I have about 7pm. The only other additions are the inclusion of a piece of allowed fruit as a snack – 100g of unsweetened apples, strawberries, blueberries, orange or grapefruit (usually raw, but sometimes warmed) up to twice a day. You can check out my recipes on my Instagram account or Facebook page. So what’s not allowed on Phase 2 of hCG (Days 3 to 40, or 3 to up to 80)? Sadly a lot. Firstly it’s a low sugar diet, so not only can you not consume any refined sugar (which means no packed or fast food or takeaway and generally no eating out) it also means that you can’t have any high GI vegetables as they contain a lot of natural sugars that will inhibit your results. So sweet potato, pumpkin, squash, potatoes – anything starchy is out. Also green beans, beets, carrots, peas, corn, snow peas, parsnip, artichoke – they’re all out. And if you’re following the auto-immune version of hCG offered by @hcgdietprogram then you’ll also be avoiding nightshades like eggplant and tomatoes. Sound too restrictive? It is if you want to get the results! And it’s not forever. But these restrictions mean that the hCG diet is actually perfect for those with fructose mal-absorption, irritable bowel (IBS) and chronic illnesses or auto-immune diseases like Adrenal Fatigue Syndrome (AFS), Chronic Fatigue Syndrome (CFS), fibromyalgia and even arthritis conditions. Fruit-wise, due to its high fructose content compared with vegetables, most are of the list with the exception of apples, oranges, lemons, limes, grapefruit, strawberries (these become your friends) and the occasional blueberry. That’s it. By far the biggest thing I missed are healthy high fat foods like raw nuts, avocados, olive oil and coconut oil – they’re off the menu too. As are any grains, chia, teff or anything remotely grainy – mostly because they’re full of starch which quickly turns to sugar restricting your weight loss. Maintenance is the critical 3 week period where you get to reset your body’s set point for its weight. This next phase is almost more important that the hCG Phase 2 because if not done properly, your body will try to go back to its original weight. 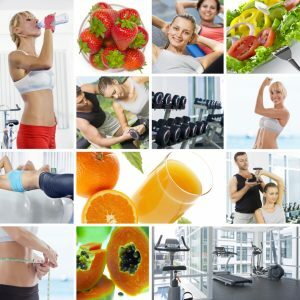 So strict calorie control is still in force, although calories gradually increase from 500 per day to around 1200 over a few days as you come off hCG drops and your body has to learn to regulate its new weight. And unless you’re an intermittent faster, the number of meals can increase from 2 to 3 per day. Importantly in Phase 3 you can sate those cravings with the addition of fattier seafood like salmon, sardines, tuna, trout, John Dory, flounder, whiting, crab, muscles, oysters, scallops and squid (calamari). Meats like duck, turkey, goose, pheasant, quail, lean beef, kangaroo, pork and venison are also allowed. But no processed or deli meats allowed. You still need to focus on ingredients that are ‘one ingredient’ foods (i.e. in their natural state) before you prepare them. On the vegetable front additions to the Phase 1 list apart from avocado include artichokes, leeks and olives (which is a fruit anyhow). So not much change on the veggie front, except you triple your vegetable volumes and can combine your vegetables, which makes a nice change. It’s the same for fruit, and whilst almost any fruit is now allowed dates, bananas, mangoes, melons, grapes and guava are not due to their high sugar (fructose) contents. So think raspberries, blackberries, boysenberries, kiwifruit, pears and stone fruit like peaches, nectarines and plums. But 100 grams of fruit twice per day is the maximum you can have. The most exciting additions to Phase 3 Maintenance are healthy fats. This means you can go back to a LCHF (Low Carb high Fat) diet that is also paleo-ish in nature. 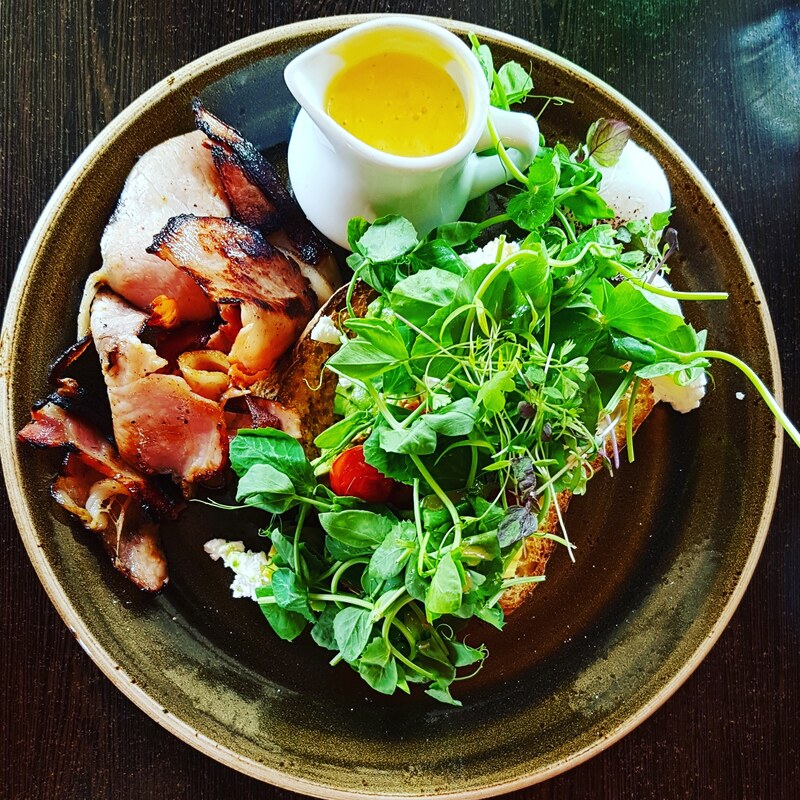 Dairy is now included (OK this isn’t strictly paleo), so real grassfed butter, mayonnaise, milk, cream and cheese is allowed, although when following an anti-inflammatory diet dairy should still be minimised. Oils like olive oil (cold pressed EVOO), raw coconut oil and even avocado oil are all back in so salad dressings become much more appealing. There’s also raw (activated) nuts like almonds, walnuts, cashews, pepitas, sunflower seeds, and coconut, although restricted to the equivalent by volume of 12 almonds a day total. There’s still no processed foods while you’re on Phase 3 Maintenance, and to be truthful these foods should form much less than 10% of your total diet anyway. So there’s no sugar, corn, rice, wheat, flours, grains or cereals allowed. And no legumes. They’re not paleo anyhow. As for other paleoish favourites like chia, teff, amaranth, sorghum and buckwheat they’re also off the menu until after Phase 3. This is because they’re too high in starch (which easily converts to sugar) and the body won’t successfully be able to reset your new lower set point for your body weight. But there’s good news for the sweet tooths too … a small amount raw cocao powder and cocoa nibs are allowed and it’s best to continue using pure Stevia, SteviaSlim or the allowed fruits for sweetening where required. This means there’s plenty of raw sweet treats now able to be crafted to sate that sweet tooth, which should now not be quite so sweet thanks to retraining your palate and voiding your body of the effects of candida. Although, having said that it’s best to avoid getting too creative in order to give your body the best chance of resetting its set point. You’ve worked so hard for it after all! Basically from the allowed foods it’s important to eat what you want when you want it, but it crucial to eat only when you’re hungry. So learning to listen to your body for when you’ve had enough is key. Despite all good intentions, you might find a small weight increase during this phase as your bowels fill back up. So you still must perform a weigh-in every day and monitor this. And if your weight exceeds more than 1 kilogram (2.2 pounds) above your lowest on the hCG Program then you must immediately perform what’s known as a Steak Day. 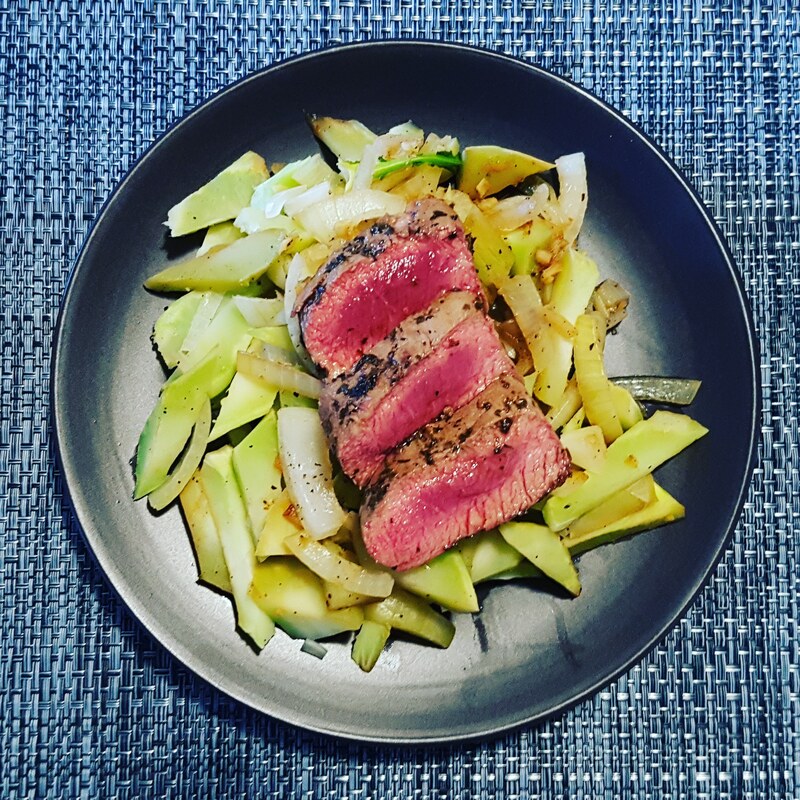 A Steak Day is where you skip breakfast and lunch and then eat a huge steak for dinner with only either a raw apple or a raw tomato (not for anti-inflammatory diet). You still drink the same amount of water to flush everything out. But following your steak day, you should see your weight drop again back within the 1kg (2.2lb) range. If you’re wanting to shed that excess weight fast, and you’re ready and willing to commit to some serious self-imposed hibernation in terms of your social life, then hCG is a great solution. It’s quick, easy, painless and there are no negative side effects. But having said this, the only hCG therapy that works is one prescribed by a medical Doctor, and dispensed by an approved compound pharmacy. Anything else is just an imitation, can cause serious side effects, and means you won’t get real lasting results. Private message me on one of my social media channels, or head to hcgdietprogram.com.au and reach out to Cindy Marr, my coach. The big news is that dieting doesn’t cure obesity … in fact in a study published by National Institute of Health Researchers showed that dieting actually lowers your metabolism which means long-term dieting of any kind will cause metabolic compensation, where your perhaps already low metabolism becomes gradually more and more efficient (i.e. lower still), requiring fewer and fewer calories to maintain your weight. This means that you’d have to be calorie-deprived for the rest of your life just to maintain your weight, and you might still regain any weight you’ve lost … or even more. So for anyone who wants (or needs) to shed weight this is bad news … really bad news. It also helps to explain why people (mostly women) throw good money after bad on a plethora of diet programs pills and shakes that don’t work in a fruitless effort to achieve an idea of beauty that doesn’t really exist anyway. It’s completely impossible. No wonder we get depressed. You know that calorie counting old equation – weight loss or gain = calories in minus calories out, right? Did you know that it’s a complete fallacy? Aargghh … so what’s the answer? Well, there are actually 4 steps to weight loss … and none of them actually involve dieting. The first step to is to correct the type of calories we consume … the reason people gain fat is due to unregulated fat-tissue due to insulin secreted in response to the carbohydrates – anything made from sugar, rice or any flours, including wheat, as well as starchy vegetables like potatoes – we consume. Yes – you heard it – cheap delicious bready wheat-y rice-y soul nurturing carbs … they’re out for good – simple ones anyhow. Unless you want to stay fat. Your choice, you decide. Seriously. But it’s not just portion control you need to monitor. According to the Australian Dietary Guidelines serving size is better describe how much you SHOULD eat of a food, rather than portion size which describes the amount you ACTUALLY eat. To get the volume you eat down, you simply eat less, right? Well, sort of. The problem is our stomachs have been stretched by ever increasing meal sizes so it’s only logical that the empty space in our stretched stomachs gives off a false sense of hunger that doesn’t really exist. Yep, you’re not REALLY hungry at all. 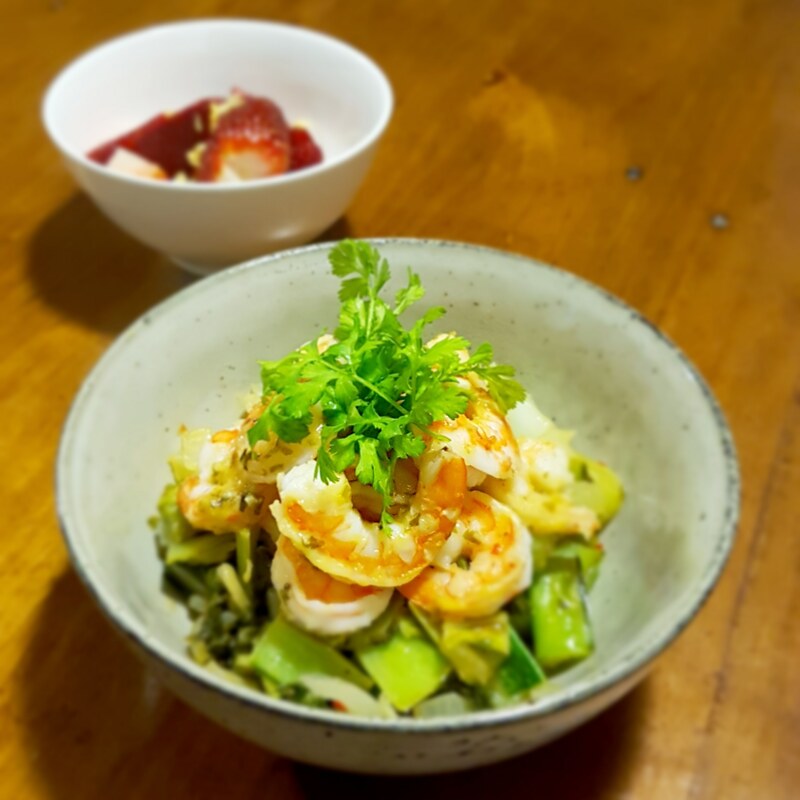 Eating smaller more regular meals is one of the tricks to help retrain your body … 4 meals of 300 to 500 calories over the day (every 3 to 4 hours) can help stabilise your blood sugar and shrink your stomach size. So what is a serving size? Well that’s kind of the problem. The serve size tables aren’t very specific. Sure they list the number of serves a day of fruit, vegetables, protein and complex carbohydrates but they don’t really say how much a serve is. And to make it worse there’s no actual guideline for food growers or manufacturers for labelling serving sizes on their products – it’s completely up to them. WTF? So what do you actually need? 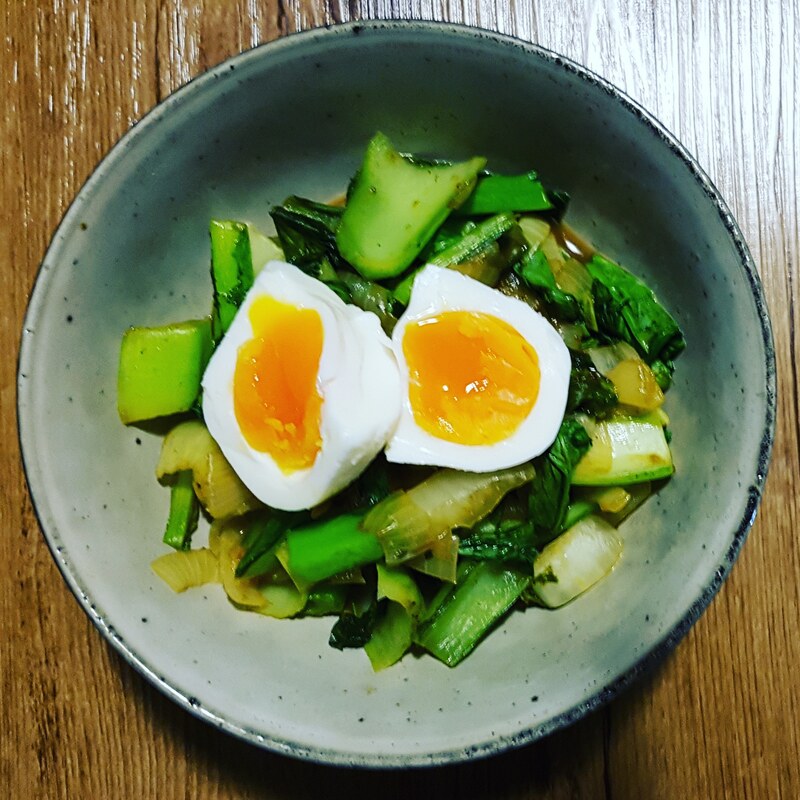 Well whilst it’s a bit different for everyone (based on body type and cultural differences) but it turns out it is pretty simple – a palm-sized piece of lean protein and 2 to 3 handfuls of vegetables at a meal. You can also have a piece of fruit up to twice a day and a small amount of complex carbohydrates (palm sized) like quinoa or sweet potato. And don’t forget your healthy fats … raw nuts, avocados and olive oil are essential to turning off your hunger hormone ghrelin. Simple, right? Check out Dr Lisa Young’s other tricks to help you eat less. 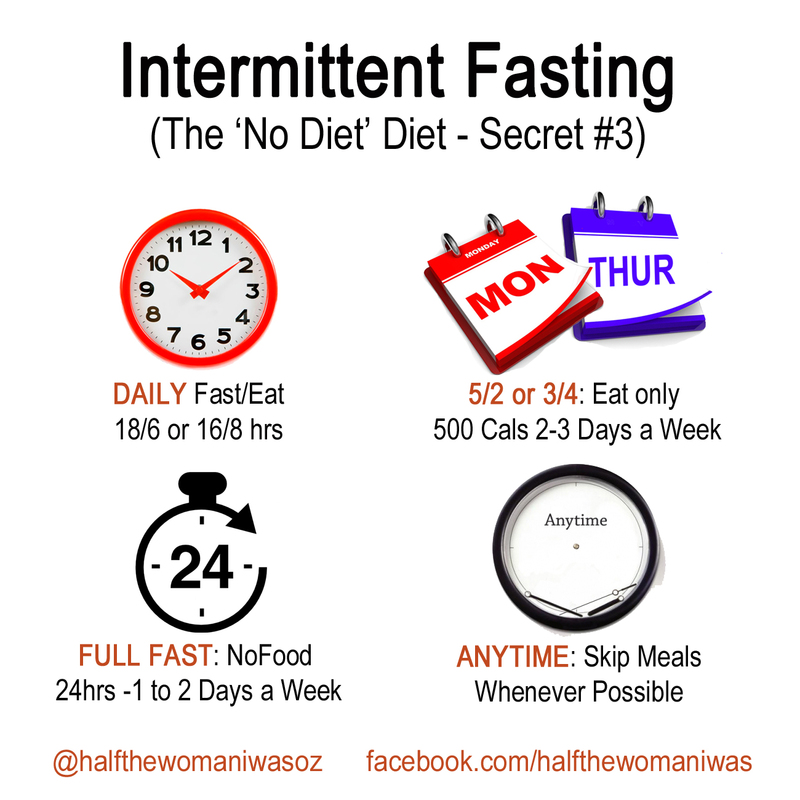 The third step is frequency of eating and the benefits of intermittent fasting. There’s a been a lot written about the benefits of intermittent fasting and programs like Michael Mosely’s “Eat, Fast and Live Longer” have certainly helped make the concept of fasting centre stage. The truth is that fasting is in line with our ancestral DNA, and so the act of fasting has a whole host of benefits for our body including weight loss, lower blood pressure, reduced cholesterol, feeling full, fat loss, ketosis, metabolism booster, cardiovascular health and better insulin sensitivity – it’s a pretty amazing list. Which is why intermittent fasting is considered a big part of the cure for diabetes, obesity, heart disease and a plethora of other illnesses. But which type of fast is right? Well it turns out doesn’t really matter which one you do. Personally I do the 18/6 hour fast pretty much daily and I feel better for it. Dr Mosely prefers to 5:2 fast, whilst other people prefer a full fast or anytime fast. Really it depends on what fits in with your lifestyle and how you feel on it. For me it’s easy to finish eating around 7pm and not eat again until 1pm the next day. The biggest benefit of any fast is that it gives your stomach time to shrink, thereby reducing your capacity for those large meals I mentioned about previously. 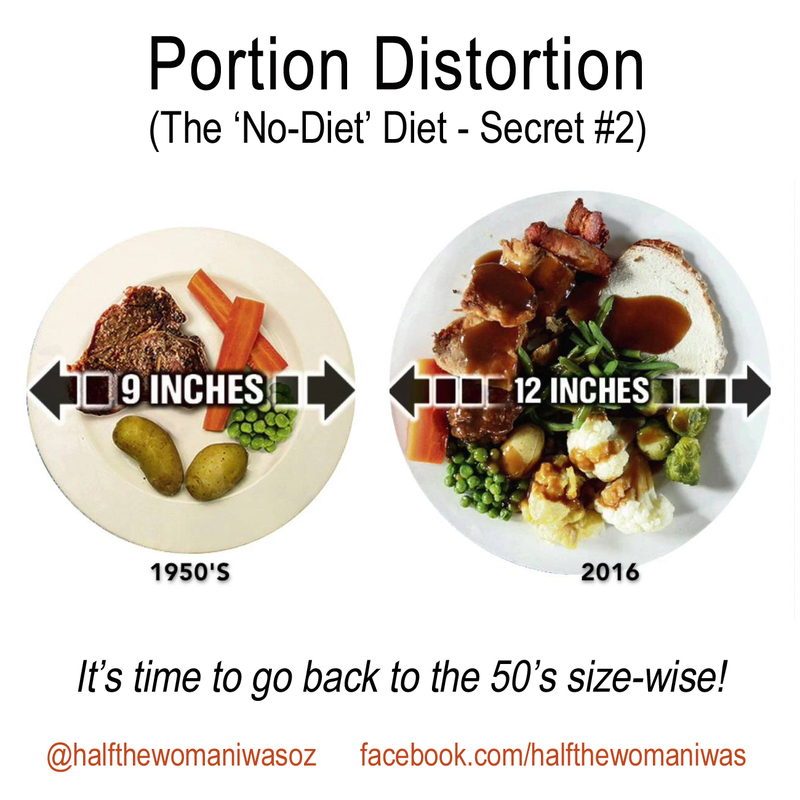 What this means is you eat less – portion control sorted! And when you consider that every kg (2.2lbs) of fat equates to 7,000 calories you can start to understand why it takes a while to lose any weight you put on. It took you ages for that weight to gradually come on, right? So the slow burn, the slow loss is always best and losing it slowly will help you keep it off … otherwise you might find that weight again! There is one exception to this rule and it’s something I’ll be talking about next week rapid weight loss . 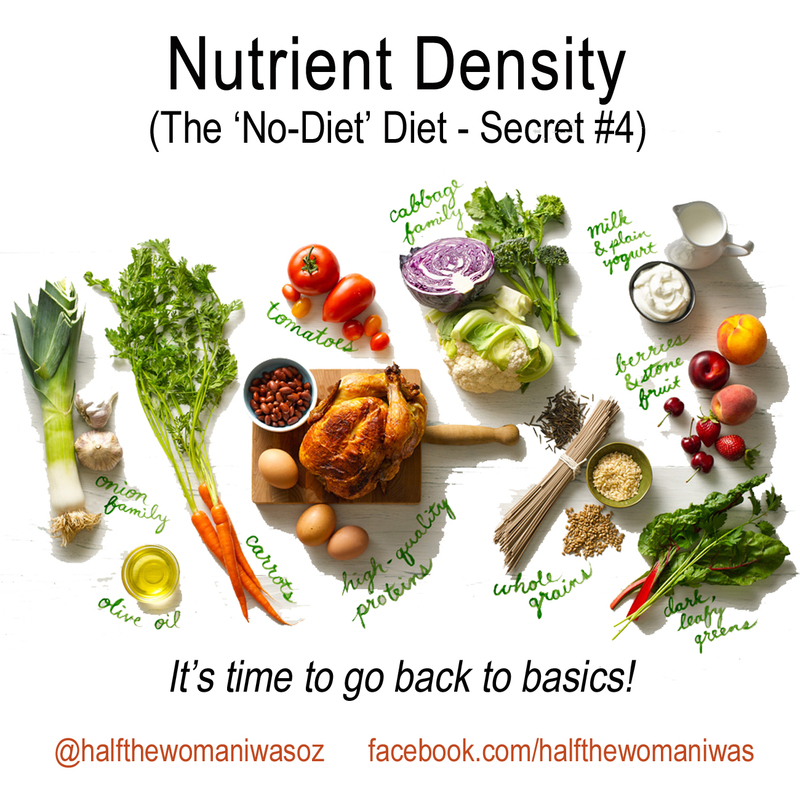 The fourth step to losing weight and getting the body of your dreams is nutrition density. All food is not created equal. The body needs a vast array of micro nutrients in the form of vitamins minerals and trace elements to function optimally. The best sources of all these things are found in a combination of (generally raw) natural foods with one ingredient – apples, oranges, berries, carrots, broccoli, greens, almonds, walnuts, chia seeds, etc. Cooking and manufacturing processes which turn these ingredients into ‘products’ are less healthy because the raw food is changed. Oils become oxidised through cooking; vitamins are destroyed by manufacturing processes; complex carbohydrates become simple like sugar when ground; and essential fibre is destroyed. And so the destruction goes on. That’s why the best foods are raw and natural, lightly steamed or cooked to enhance texture and taste. Salads featuring a variety of leafy greens are your best option, but we’re not rabbits, and variety is the spice of life, so it’s important to eat a variety of colours and textures. Although farming practices have improved, many crops are still gown from genetically modified stock in depleted soils with added fertilisers and herbicides which are unnatural. When you’re not eating organic, you’re also eating these additives placing an extra burden on your organs to remove them. When it comes to eggs and meat those which are organic or bio-dynamic are best. Organic and bio-dynamic produce is grown in rich fertile soils without harmful additives or hormones. And whilst you can’t eat 100% organic all the time, eating local produce (rather than imports) and replacing what you can when you can makes a huge difference to your body and your health. So aim for products that have just one ingredient, and combine or cook them at home to make super delicious, fresh and vibrant meals. Your body will thank you for it. Next blog I’ll be talking about rapid weight loss. Essentially WHAT you should eat depends on the aim of your workout – are you building muscle or improving your fitness through cardio? Also, WHEN you eat is just as crucial; it’s timing dependent on what foods you’ve chosen to use to fuel-up. If building muscle is your game, as well as losing fat and increasing your metabolism at the same time, then you’ll want a pre-workout meal which focuses on lean proteins. Some of the best lean proteins are grilled meats, eggs (or egg whites), low-fat Greek yoghurt or cottage cheese – anything low in fat and high in protein. These foods contain Branched Chain Amino Acids (BCAA) which help increase the rate of protein synthesis and decrease protein breakdown during and after your workout, minimising muscle wastage and maximising muscle-building opportunities. If you’re going for a high-energy cardio workout, then you’ll need to consume items that are higher in complex carbohydrates, to give you enough slow released energy to push yourself through an energetic workout. Low Glycaemic Index (GI) carbohydrates like quinoa, mushrooms, eggplant, tomatoes, cauliflower, zucchini and green leafy vegetables help to fill up your glycogen stores and also create a more anabolic effect. Avoid carbohydrates like processed foods, grains, wheat, sugar and high-starch root vegetables (no potatoes, pumpkin, sweet potato, carrot or beetroot) which convert to sugar and negatively impact on the results of your workout. If you’re doing a combined workout, like interval training, then simply eat a balance of the two – protein and carbohydrates – focus on fibre, this will fill you up so you don’t get hungry. Don’t over-eat and keep your calories to between 200 and 350 depending on your weight and workout plan. Also, remember that WHEN to eat is just as crucial. Eating on an empty stomach (unless it’s first thing in the morning to kick start your metabolism with a post-work out breakfast) is generally not recommended, although it does work for some people. Knowing how long to eat before your workout helps is the key to maximising your results and minimising any pre or post workout fatigue. Different types of foods take different times to digest, from the stomach to the small intestine, which is when its nutrition is available for absorption and use by the body in your workout. Proteins take around 3-4 hours to digest, muscle-building workouts benefit from eating a high-protein low-fat meal containing 100 to 250g of raw protein weight (size depends on your body weight) 3-4 hours before working out. Mix your high protein up with some non-starchy vegetables for a boost of low GI energy. 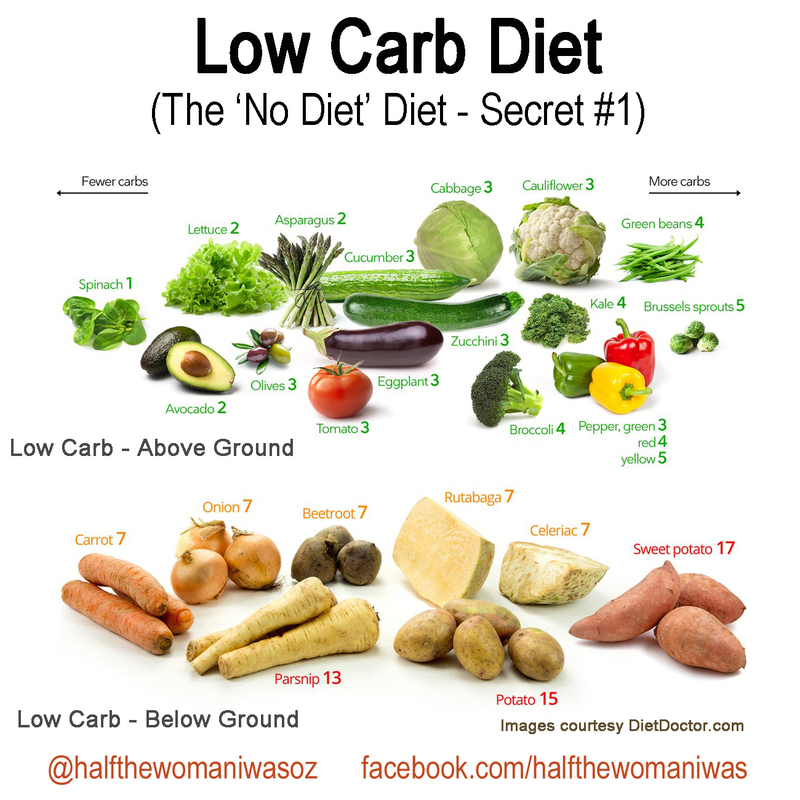 Carbohydrates take around 2-3 hours to digest but simple carbohydrates like sugar, grains, flours and starchy vegetables convert quickly and, while they release energy, it’s a short burst that can also throw your insulin balance out. Low-GI complex carbohydrates give you sustained slow release energy that lets you power through your workout. Dietary fat takes 6-8 hours to digest, so it’s best to consume high-fat (good-fat) foods like nuts, avocados, and salmon in the meals following your workout. If it’s been longer than 3-hours since your last meal and you’re soon to hit the gym consider adding a pre-workout snack, such as an orange or an apple, or strawberries, raspberries or blueberries with a little low-fat Greek yoghurt a couple of hours beforehand. Most fruits, including convenient bananas, are too high in simple fructose sugar which reduces the benefits of your workout; slows your metabolism and raises your body’s natural weight set point.